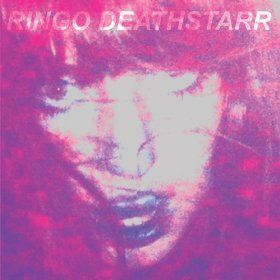 WHY: Spoiler alert: This isn't the last time Ringo Deathstarr shows up in my Top 50. The Shadow EP, released earlyish in 2012, served to tide over impatient folks like yours truly who were dying/chomping at the bit/ready to maim someone for their LP Mauve. Seriously, y'all. I am not a patient girl. Veruca Salt had the right idea. But I digress. The four songs here perfectly capture the essence of Ringo Deathstarr, from just like honey drone to sweetness and light vocals to incredibly, beautifully noise to a slow jam that's just a bit off, the kind of song that might make a nice prom song in Twin Peaks. A nice little appetizer it proved to be, indeed. MY JAMS: "Shadow" "Just You"